The sciences of hadith enjoyed a revolutionary period in the 13th century India. This was the time when the institutions for the teaching and learning of religion were formally established and a comprehensive system of education was established. Before this time, the learned Imams and scholars used to teach their pupils in private gatherings. 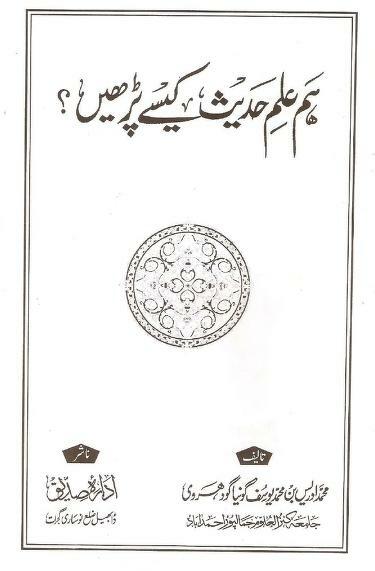 The visionary mission of Shah Abdul Haq Muhadith Dahelvi and Shah Waliullah Mohadith Dahelvi (May Allah be pleased with them both and raise their ranks) of spreading the sciences of hadith in the sub-continent met reality through the system of madaris, which are one of the prime reasons we see the ilm al-hadith being studied in every city and town in the sub-continent. Madaris have served Ilm Al-Hadith in a distinguished manner. In the early days of the curriculum formation, the subject of Ilm Al-hadith was not a very popular subject. At that time, the curriculum was focused more on meeting the administrative work requirements. At this state, Shah Abdul Haq Mohadith Dahelvi initiated an effort to include the six famous books of hadith in the curriculum. This effort was completed a 100 years later by Shah Waliullah Mohadith Dahelvi who redesigned the Islamic studies curriculum and placed the Quran and hadith studies as a central focus of the whole course. This new curriculum included the six famous books of hadith as well as Muwatta of Imam Malik. Though Shah Waliullah's sons made a great effort to spread this system, the previously known system, known as Dars e Nizami remained widely practiced, though with slight modification and amendments. After the established of Dar ul Uloom Deoband in 1683, a new chapter began in the history of religious institutions. The elders of Deoband decided to include a significant percentage of the curriculum proposed by Shah Waliullah, rather than confining themselves to Dars e Nizami solely. One of their key achievements was the inclusion of the key hadith books in the curriculum to make it more balanced. This was the first time that the six key books of hadith were formally included in an official curriculum. In addition to this, Mishkat Al Masabeeh, which was already included in the Dars e Nizami, maintained its place in the curriculum. The Nadwatul Ulema movement was created with an objection of blending and combining the beneficial traditional sciences with useful contemporary knowledge. After a detailed consideration of various factors, a revised curriculum was proposed. This curriculum also strongly emphasized the study of hadith but rather than teaching all the hadith books in one year, it was spread through the curriculum while keeping in consideration the level of knowledge of students. This spread of hadith sciences through-out the 9 years (college to university level) of education informed a very well-balanced curriculum. Foundations for another reformed curriculum were laid by Madrasa Al-Islah and Jamiah Al-Falah who integrated the good practices from the curricula taught at Deoband and Nadwa. One of the key features of this new system of education was research-oriented study of Quranic sciences. Other branches of knowledge were considered to be the enablers for the better understanding and interpretation of Quran. These institutions also gave the major hadith books their due status and included certain chapters from these books in the curriculum. Madrasa Al-Islah also included comprehensive study of Bulugh Al-Maram. Jamia Al-Falah, on the other hand, crafted a detailed curriculum for the students specialization in the sciences of hadith. This curriculum, in addition to the major books of hadith, covered history, compilation, Jarh wa Tadeel, Takhreej, Naqad, and other books of hadith science written by contemporary scholars. Jamia Salfiyyah Banaras and the institutions working under its governance are a result of sincere efforts of the Ahl Al-Hadith. Due to their strong attachment with the hadith, these institutions, in additon to the textual interpretation and explanation of the hadith, gave strong emphasis to the the history, Ulum, and Usul Al-Hadith. Like Nadwah, they also spread the study of hadith at all levels. Jamiah Ashrafia Mubarakpur also seems to be aligned with the Nadwah in its coverage of the major books of hadith in the curriculum. In the Madaris which follow the Dars e Nizami curriculum, Alfiyyah and Mishkat are taught in the initial levels of the Almiyyah level. In the middle two years, there is no teaching of hadith. After this, the last year is dedicated fully to the teaching of hadith which covers the Muwattah of Imam Malik along with the six major hadith collections. These books contain approximately 40,000 ahadith spread over more than 5000 pages. Students and teachers put in extensive efforts and laboriously complete this curriculum. The commonly told benefit of this approach is that the students can have an overview of the whole body of hadith from the given books. Considering their already acquired expertise in various rulings and matters discussed in the ahadith being covered, a broad overview of the texts is considered to be sufficient. Before the invention of press, the dissemination of the knowledge of hadith heavily dependant on 'reading' and the 'readers'. Teachers and students already used to be at a higher level of knowledge and understanding about the subject and accordingly did not need much further explanation about the text of ahadith. The broad coverage of text was therefore considered appropriate for that time. The curriculum described above seems to be a representative of those times and has received significant criticism in various times. ​Maulana Zahid ur Rashidi, a famous Pakistani scholar, points out that "a significant percentage of the Dora e Hadith students is not able to grasp the topics in hadith according to the needs of present times. They skim through such a vast ocean of prophetic traditions as if a half-asleep person goes through a beautiful garden" (without being able to enjoy the beauties and bounties within the garden and not having a chance to actively observe). Mufti Taqi Uthmani, another renowned scholar, also sees opportunities for improvement in this method of teaching hadith and considers one year to be an inappropriate time-frame to cover the books of hadith in a manner they are supposed to be covered. It happens quite abundantly that the first few chapters are covered with a high degree of detail and explanation and for the rest, the time runs out and students and teachers have to rush through the remaining contents. The second method of teaching hadith is that of Madrasa Al-Islah which selects certain books for inclusion in the curriculum and then from within them, certain chapters are selected for study. They organize some lectures on the history and compilation of hadith. 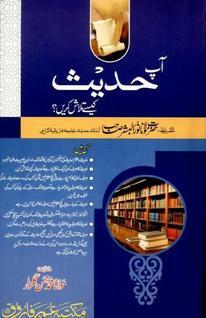 In order to cover Usul al-hadith, a brief treatise, known as Taiseer Usool Al-Hadith (author: Maulana M. Umer A. Islahi), is included in the curriculum. As explained above, this school is highly attached to the study of Quran and is often criticized for a lesser attention towards hadith and their sciences. Considering the smaller percentage of the hadith studies in the overall curriculum, this great branch of religious knowledge is considered to be less represented in the curriculum at this madrasa. On the other hand, though Jamia Alfalah also gives central importance to the study of Quran, it has established a very well-balanced curriculum and which not only covers the matan of ahadith, but also its history, compilation, usul, Jarh wa tadeel, fiqh al hadith, naqad, shubhat hiwal al hadith and other science to an extent not paralleled in any other Islamic studies higher education institution. Nadwah tul Ulema Lakhnow, Jamiah Salafiyyah Banars, and Jamiah Ashrafiyyah Mubarakpur have one thing common in their respective curricula - they include the study of hadith at all educational levels. These institutions teach Bukhari and Muslim in full. For other books, selected portions are included, as considered appropriate. Among the institutions which employ this third method of teaching hadith, it is Jamiah Salafiyyah which outweighs other in terms of its emphasis on the sciences of hadith. In addition to the teaching of the matan of ahadith, they include at least one book on Usul or Ulum of hadith each year which provides overview of various aspects related to the sciences of hadith. In accordance with the above explanation, it is logical to ask if the implemented curriculum already meets the requirements, or does an opportunity for improvement exist? 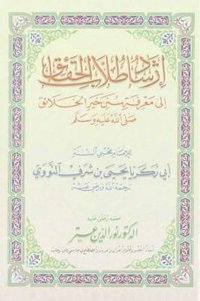 If we consider the priceless treasure of hadith that is available for us to dive into and explore, the numerous branches and facets that the study of hadith entails, and the recent revolutionary improvements in the methods of teaching and learning, we can confidently say that still there is a lot of room for improvement. Educational experts believe that each branch of knowledge doubles itself with a span of ten years. Though there is no opportunity for the matan or text of hadith sources to expand, however, the sciences associated with the hadith are very vast. Numerous new fields of knowledge have branched out of Ulum al-hadith; especially in the last few decades, significant research work has happened in this discipline. The current curriculum focuses on awareness of the text of ahadith, understanding of their meanings, and familiarity with a few key usuls (principles). Interest in keeping pace with recent research and new approaches towards the study of hadith, which is important for the seekers of sacred knowledge to be aware of, is extremely rare. The process of identification of rulings and explanation of grammatical aspects, composition and messages from the ahadith should be presented in a way that would clarify the key objectives of the teachings of the Prophet Muhammad ﷺ and let them understand Islam as a complete code of life that provides guidance for each walk of life. Inculcation and understanding of the true spirit of the Quran and Sunnah and its application in the derivation of rulings and finding of solutions in a manner that does not restrict the interpretation of prophetic traditions under the factional boundaries. An overview of the efforts of orientalists, atheists, missionaries and others who try to create doubts regarding the prophetic traditions and seerah among the laymen. Students of the sacred knowledge should be equipped with the skills and knowledge to be able to effectively respond to such unethical and negatively biased efforts. If we review the current curriculum in comparison with the learning outcomes proposed above, we see a glaringly visible need for improvement in the way the ulum of hadith are currently taught. The discussions on curriculum review and improvements have been continuing for almost a century, but it is no where even close to delivering results. On top of that, if see anyone proposing any suggestions for improvement in line with the expansion on knowledge in the field and the perspectives of modern educational processes, such an attempt is not well-welcomed. A particular group from within the madaris responds any such efforts by presenting examples of the glorious past and esteemed scholars who remained attached with the system from then. The intentions of those who present any ideas for reforms are questioned and in the process the whole effort gets jeopardized. It has to be understood that the success in the past is not a guarantee for a successful future.